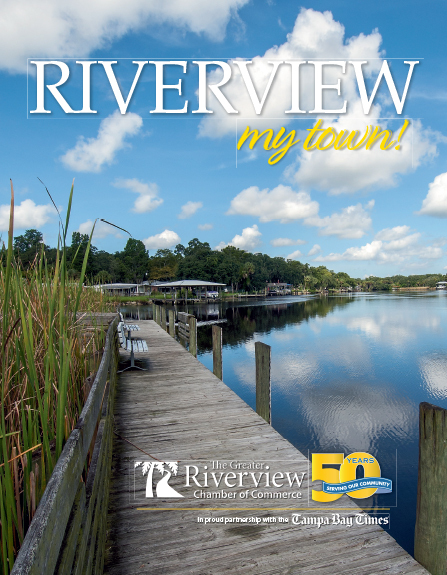 The 30th Annual Trick or Treat Street will be presented by the Greater Riverview Chamber of Commerce, Hillsborough County Sheriff's Office, Hillsborough County Parks & Recreation and Riverview High School. The purpose of this special annual event is to create a safe place for children of all ages to have fun and share in the tradition of trick or treating while meeting local businesses, churches and other local organizations. Thousands of local residents flock to get candy, play games, enjoy bounce houses, eat food and win prizes. There are many fun FREE activities. There are also extended activities and food available at nominal costs. 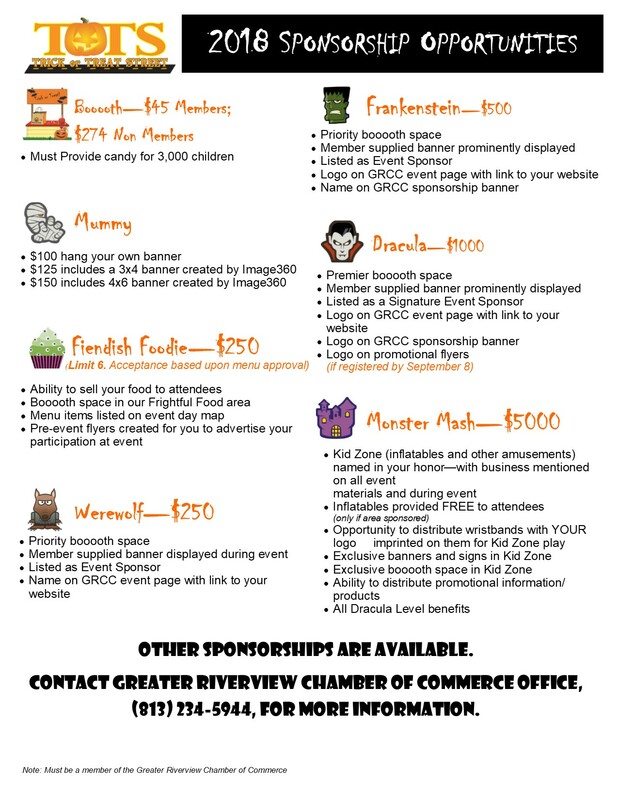 Businesses can participate by dressing up, decorating their booooth and distributing candy or small toys to children of all ages. Coveted awards will be presented for best booooth design in several categories. Kids and dogs also have the opportunity to participate in costume contests! 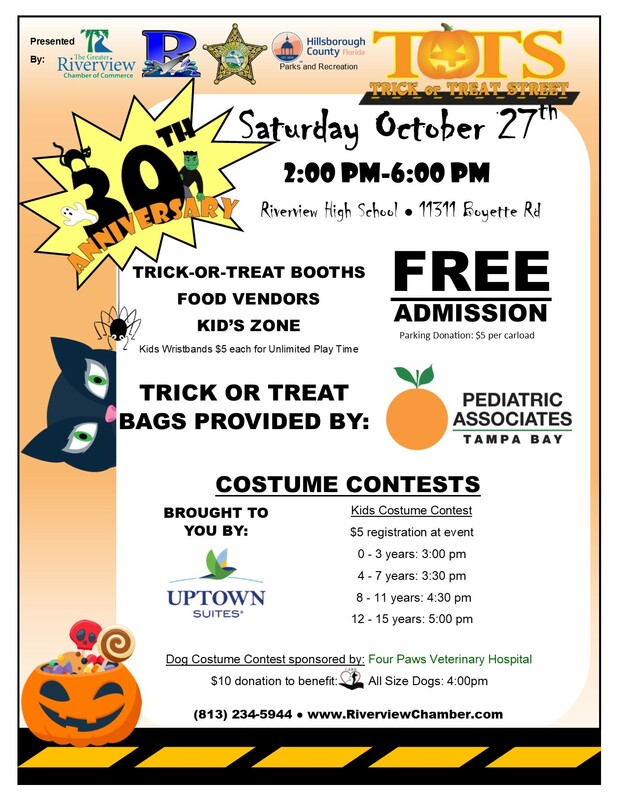 Dog owners are encouraged to bring their canine friends in costume for the Four Paws Veterinary Hospital Dog Costume Contest. Registration will be a $10 donation to benefit C.A.R.E. The contest will kick off at 4:00 for all size dogs.